Branson and Bryson are wearing these costumes! I made both of these. Sewing the yellow costume like a suit and The Monkey costume as a jumper! 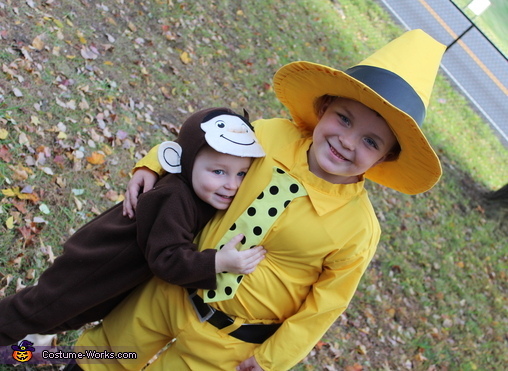 The yellow hat was made from poster board and fabric.